The Thursday Interview: Orlando A. Sanchez. 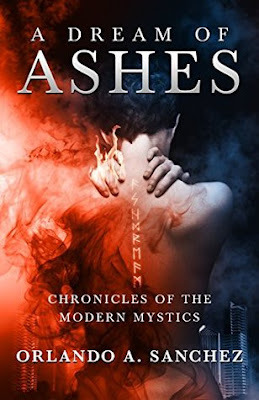 Today, I'd like to welcome Orlando A. Sanchez, author of “A Dream of Ashes” to The Thursday Interview. Before we get started, a quick intro! Orlando Sanchez has been writing ever since his teens when he was immersed in creating scenarios for playing Dungeon and Dragons with his friends every weekend. An avid reader, his influences are too numerous to list here. Some of the most prominent are: J.R.R. Tolkien, Jim Butcher, Kat Richardson, Terry Brooks, Piers Anthony, Lee Child, George Lucas, Andrew Vachss, and Barry Eisler to name a few in no particular order. The worlds of his books are urban settings with a twist of the paranormal lurking just behind the scenes and generous doses of magic, martial arts, and mayhem. 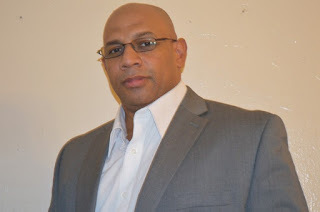 He currently resides in Queens, NY with his wife and children. He can be found in the local coffee shop where most of his writing is done. 1. Would you break the law to save a loved one? …why? Yes, because they are a loved one. This means they are of the utmost importance to me. It means that they own a part of my heart and being and no sacrifice is too great for them. If that means breaking the law to preserve or protect them, then yes without a second thought. Being alive is merely existing. Truly living is means each day, each moment is new, fresh, and thrilling. Truly living means, to me, that each day is not taken for granted. There is no such thing as being bored and even the simplest thing in life van be amazing. The stories in my head. If I don’t write I get overwhelmed. I think there is really something to those sayings about writers being on the edge of madness. If I don’t write it upsets my sleep cycle because the stories and scenes play out in my imagination which means I am now awake at 3am working out story ideas. That is not a conducive state to having a day job. Unconditional love. Joy. Immortality and legacy. The laughter of children is the purest sound in the entire universe. Through our children, we can experience the greatest joy and the deepest sorrow. Having a child means having a living breathing part of yourself outside of your body where it is vulnerable. It is the most exhilarating and frightening sensation, any person can experience at one time. 5. What was the biggest challenge to creating your book “A Dream of Ashes”? Being authentic to the story and voice. I tried to write it in third person and I couldn’t get past the third chapter. Once I switched to first person, I couldn’t write it fast enough. The challenge was in making that transition even though I was being advised that third person was the best choice. I had to listen to myself and the story that needed to be told. Even when no one else believes in you, you must believe in yourself. Never let anyone steal your joy. Follow your dream and make sure it’s a big dream-the biggest you can imagine. Value friendships and nurture them, but also be comfortable being alone. Like and love your own company and others will too. 7. How did you come up with the title “A Dream of Ashes”? It came from a theme in the book that touches with fire and the loss of hope. The thought was along the lines of “All my dreams have turned to ash, my hope is gone.” I wanted to capture the feeling of that sentiment in the title. That became A DREAM OF ASHES. It doesn’t really faze me. Everyone is entitled to his or her opinions. You learn to have thick skin early on when you start writing. It has never stopped me. I didn’t feel accomplished as a writer until I got my first one star review. It upset me for a few minutes and I mentioned it to a fellow writer who gave me the best advice I have gotten in my writing career. “Enjoy the one star just like the four and five star. It means you made that reader feel something. That is what you are called to do as a writer and author, create feeling. Because it is an excellent story and the main character, Ava James is phenomenal, flawed, and fearless. It is the first book where I feel I am stepping into my voice as an author. I had an incredibly great time writing this book and I hope that is conveyed in the story and characters. Because all of us at a fundamental level are creative. It is an innate desire that we as humans create. Which means something must exist as an expression of our being alive. Whether that something is an artistic expression or something as mundane as an excellent dinner (which can contain artistry) we cannot exist in a vacuum. Even if what we create exists only in our minds, something will always exist. A Rogue Mystic. A Ruthless Killer. A Dark Secret. Ava James is a fire mystic with the Mystic Investigative Division. As a branch of the Enclave, a worldwide mystic organization, the MID is feared, respected and reviled. When the half-charred body of a Mystic is found, the Enclave sends her to investigate the strange death. Ava finds that all the clues point to the killer being a fire mystic, one of her own. Accused by the Enclave of working with the killer she must solve the case before a secret buried in her past is revealed and destroys her world. Can she save herself? Will she find the murderer? Great interview and I love the unique questions! Orlando your book looks intriguing. I'm going to go check it out now! Great interview... Got me curious about the book and the heroine. Got it just now on Amazon. Am a fan of the Warriors of the Way and so can't wait to crack on with the Modern Mystics series.